If you’re seeking the best vacuum for pet hair, what you’re really looking for is an all-around beast of a vacuum cleaner. While some of the best models are marketed for pet hair, don’t think your search is limited to vacuums with pictures of cats and dogs on the box. You’re fundamentally looking for a well-designed, powerful vacuum. Each hair acts like a thin, flexible needle and embeds itself in woven or fibrous surfaces. Weak vacuums can’t catch these fur fragments. Poorly-designed ones send hair flying through the house. Great vacuums, however, keep both your house and your air clean and continue working for years. Here’s how to find one. In addition to acing the basics—working on both carpet and hardwood floor, suiting your budget, and being easy to operate—the best vacuum cleaners have features that make them great at cleaning up cat hair. Here are a few ways the best vacuum cleaners for pet hair set themselves apart from the rest. The best vacuum cleaners for pet hair are strong and durable. Cleaning up pet hair demands suction strength—and the best vacuums have the muscles to capture it all. Anything less than a great vacuum is going to go blue in the face trying to suction hair out of the floor—and the weakest will drop dead after a few months of use. You need the strongest, most durable vacuum you can get. That’s why all the products on the following list are well-built units with a reputation for suction power and longevity. The best vacuums for pet hair come with pet-specific attachments. While not a necessity, these attachments help to remove hair from hard-to-reach areas like beds, stairs, and cat trees. The best vacuums for pet hair have HEPA filtration. Few modern vacuums lack a HEPA filter. Those that don’t might pretend to, so don’t be deceived by labels describing a “HEPA-like filter” or a “HEPA-style filter”. These deceptive terms mean one thing: you’re not getting a HEPA filter. Especially if you’re allergic, that’s unacceptable. HEPA is an acronym meaning “high-efficiency particulate air” and denotes any filter that captures 99.97% of particulate matter at a size of .3 microns. 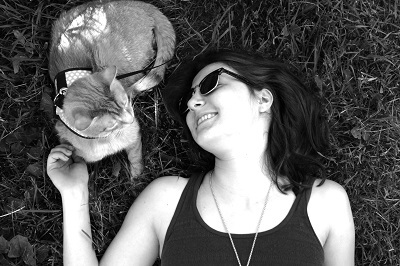 For people with cat allergies, the significant particle here is cat dander and allergens. A true HEPA filter captures these particles and won’t release them back into the atmosphere, reducing allergens in your house. The best vacuums for pet hair avoid snagging, tangling, and twisting. If your cat has long hair, those hairs will likely tangle and twist around the vacuum’s roller bar. The best vacuums avoid this problem with silicone bristles or grooved bar designs. The best vacuums are gentle on your cat’s sensitive ears. Quiet vacuum cleaners are a good choice for everyone, but cat-inclusive households are particularly sensitive to the noise factor. We’re looking for quiet machines that won’t traumatize your cat. Both bagless and bagged vacuums have their merits for pet hair cleanup. Bagged vacuums are better for people with allergies. They allow you to dump the dirt in the trash without releasing a cloud of allergens into your own face. At the same time, they come with replacement costs and deprive you of the satisfaction of seeing dirt swirl in the canister while you clean. Great vacuums come in (almost) all shapes and sizes. Well-made upright, canister, and handheld vacuums are equally competent cat hair cleaners. Beware of stick vacuums, however. While they’re easy on the budget and your arm muscles, they’re usually not powerful enough to extract large amounts of pet hair from carpet. Leading our list of the best vacuums for pet hair is this versatile unit from Shark. It has a swivel base and a Lift-Away® feature that allows you to remove the canister from the base. This gives you the option to use the vacuum as either a canister-style or upright vacuum. At 13.7 lbs, it’s a maneuverable, easy-to-handle vacuum, but it’s not a lightweight when it comes to suction. According to customer reviews, the Navigator is one of the most long-lasting vacuums on the market. Its long-lived strength could be attributed to its Cyclonic Technology, which keeps dirt and air separate. This means dirt never reaches the filter, allowing the Navigator to avoid clogging problems common among other vacuums. Allergic cat guardians will appreciate that the Navigator has Anti-Allergen Complete Seal Technology and a true HEPA filter. It comes with several attachments, including the pet power brush, which is designed for removing pet hair from hard-to-reach areas. In usual Dyson style, this vacuum is marketed as a piece of engineering artwork, intelligently designed to solve life’s frustrating little problems. This model is designed for cleaning up animal hair. 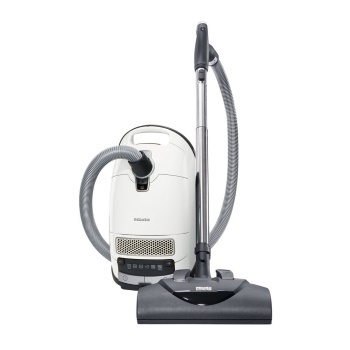 What sets it apart from other vacuums? First, it’s strong and maintains its suction power for a long time. The Dyson Animal combats loss of suction with patented Radial Root Cyclone technology. The patented airflow pattern is designed to prevent the air filter from clogging and consequent loss of suction. It has a true HEPA filter and is one of the Allergy & Asthma Foundation’s recommended vacuums. Though on the weighty side at 17 lbs, the vacuum is ultra-maneuverable thanks to a streamlined design and low center of gravity. The base plate automatically adapts to your floor type, allowing you to safely clean carpet, wood, or tile without ever stooping over. 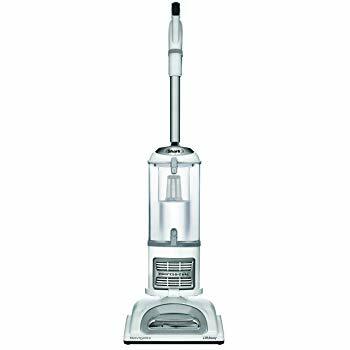 If you’re looking for a great vacuum but don’t want to drop hundreds of dollars to buy one, this model from Hoover could be what you’re looking for. At under $130, it’s budget-friendly and has all the basic features you need. It’s designed with pets in mind and is built with what Hoover calls P.A.W.S. That’s a Pet Approved Windtunnel System, which captures embedded filth and locks it into the vacuum body with minimal blowback and exhaust. Combined with the fact that the machine is built with a bag rather than a dirt canister, this system makes it a good choice for allergy sufferers. The bag has a Clean Drop system, so you can discard it without ever touching it. A HEPA filter captures particulate matter and a carbon filter absorbs pet odors. 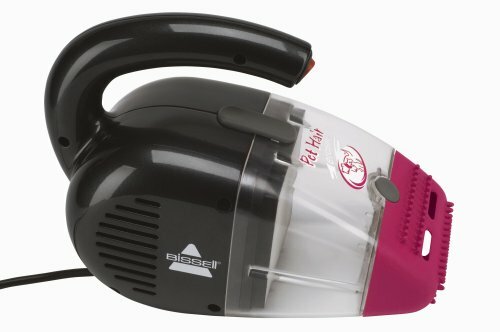 In addition to other standard attachments, this vacuum comes with a pet upholstery tool. Plastic wipers allow you to cleanly extract pet hair from furniture and other hard-to-reach areas. If you’re familiar with the industry, you’ll know that Miele is the Mercedes of the vacuum world. These German-made vacuums are designed to last for twenty-plus years and incorporate smart features for better cleaning. This model is a canister vacuum that glides low to the ground on free-spinning wheels. It comes with several accessories, including a mini turbo brush for cleaning pet hair on upholstery, bedding, and hard-to-reach areas. So that you can get the perfect clean from furniture to carpet to marble floors, the cleaning head has five height levels and six suction settings. If you’re concerned about noise, you’ll appreciate that this is the closest you’ll get to a vacuum that purrs like a cat. Some reviewers say that they can use it without disturbing sleeping people or pets in the room. It has a completely sealed 12-stage filtration system and utilizes a vacuum bag, meaning that allergy sufferers will never have to worry about contact with dander at any stage in the vacuuming process. The Miele has a charcoal filter to neutralize odors. If your priority is touching up your cat’s bedding, couch cushions, cat trees, and stairs, this handheld vacuum might be a good choice. The vacuum is designed for pet guardians, so it features two nozzles for the messes that pets most often make. A hard plastic nozzle is designated for cleaning up litter and kibble, while the soft rubber nozzle captures pet hair. Because this hand vac lacks a beater bar, you’ll never have to worry about hair wrapping around the bar and slowing down the machine. A cyclonic cleaning system helps to preserve powerful suction over time, and customer reviews indicate that this vacuum is small and mighty, sucking up pet messes with a vengeance. It’s built with a HEPA filter to fight back against allergen distribution. Although this is a little vacuum, it’s not quiet. Many customer reviews say that it’s a screamer with a voice that will send even the toughest cats under the bed. If you’re sensitive to sound, you might want to use a pair of earplugs while using this vacuum. Here’s a video on keeping your furniture, upholstery, and clothing free from pet hair. Vacuuming is important, but regular brushing is the single best way to minimize cat hair in your house. It’s good for both you and your cat. As you brush, you massage your cat’s skin, distribute oils through their coat, and capture hair that would otherwise deposit in your house or form hairballs in your cat’s body. Click here for our list of the 10 best cat brushes and deshedding tools. Bathing your cat is a particularly good idea if you or someone in your home is allergic to cats. As you scrub your cat’s body, you’re removing particles of dander, allergens, and hairs. Even if you find out that your cat loves bath time, remember that baths are best in moderation. Don’t bathe your cat more than once every one or two weeks. Over-bathing could dry out your cat’s skin. Click here for our list of the best cat shampoo. An air purifier may be able to help with cat allergies. Remember the importance of a HEPA filter in your vacuum? Air filtration and purification are fantastic supplements to a regular cleaning routine. If you’re allergic to cat dander, an air purifier will help to catch the airborne allergens that vacuuming leaves behind.